Pat Quinn Said He "Intended To Be The Jobs Governor". SRSLY?!? Illinois Governor Pat Quinn talked the talk when it came to jobs: he said he "intended to be the 'jobs Governor'". 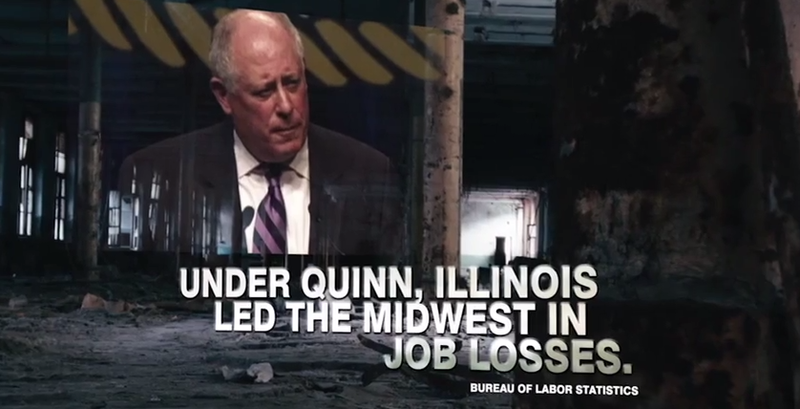 But...Pat Quinn didn't walk the walk when it came to jobs in Illinois: Illinois lead the Midwest in jobs losses according to the Bureau of Labor Statistics. Oh...he *must* have been talking about "jobs" for his cronies and stooges over at IDOT, right? That must be it. Pat Quinn failed his job here in Illinois. It is time for us voters to say that we've had enough. Give him an early retirement and not four more years.